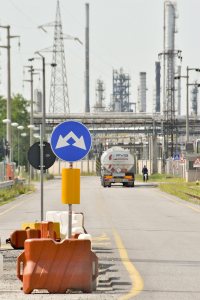 The industrial area of Porto Marghera is evolving as local and global circumstances change. Large-scale and complex tasks such as this require more than clever master plans, and the architect’s ability to adapt becomes crucial to ensure a constructive dialogue. The students have been encouraged to study Porto Marghera with more than their rational and analytical abilities. One important goal of the workshop has been to expand the meaning of aesthetics – the knowledge that comes to us through the senses. The students have been thrown head first into an unfamiliar, but practical method of developing architecture. 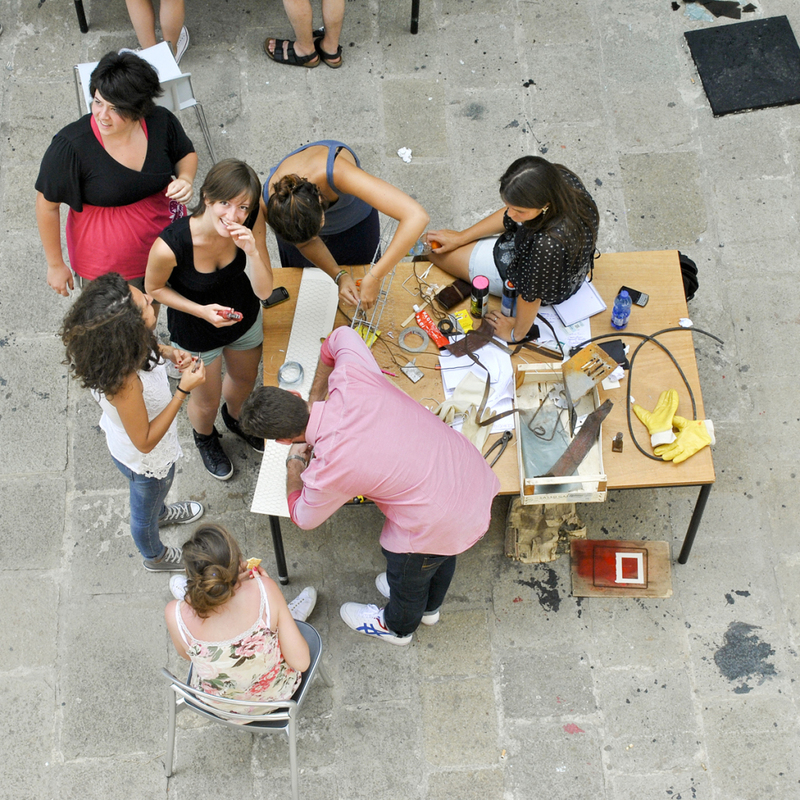 In this unpredictable process, outside of their comfort zone, the students are forced to develop new approaches to architecture. 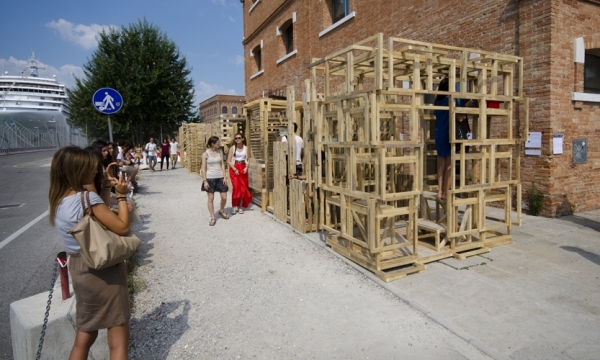 The structure is designed and constructed by 70 architecture students in the course of 20 days. The building material is reclaimed timber used in the Canadian pavilion from the Venice Architecture Biennale 2012 – reflecting the wish to reuse and recycle the resources available to us. 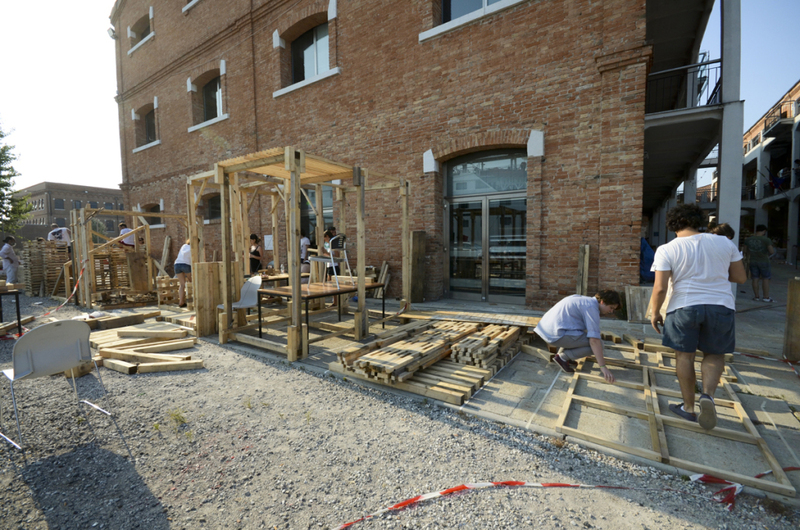 The structure is a manifestation of the energy, willpower and curiosity of architecture students – and perhaps a starting point to discuss new ways for architects to take part in the development of Porto Marghera.